Because personalizing one's car is fun (and automakers make a nice profit). It was in the 1950s and 60s when two-tone car paint jobs were popular with many makes and models. And then it went away, as styling trends do. But now two-tone paint is making a comeback, according to a report from . In only the past few years, about 20 models with contrasting body and roof colors have hit showroom floors in Europe. At the moment, this look is mostly found on SUVs, crossovers and hatchbacks, but it’s spreading to sedans, too. 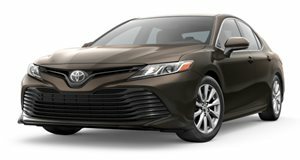 For example, the redesigned 2018 Toyota Camry has a two-tone paint option. Other popular new vehicles with this styling include the and . Although Citroen is not in the US, it’s worth noting that overseas Citroen C3 Aircross SUV buyers are even able to mix and match three roof colors and eight body colors. Automakers like this concept as well because, quite simply, it makes buying a new car a more fun and individualistic process for customers. So, how did this two-paint scheme become fashionable again? 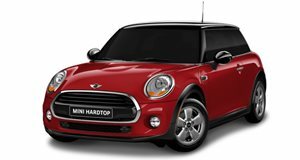 Just look at Mini when it was revitalized by BMW 16 years ago. Buyers loved being able to personalize their Minis with two-tone paint schemes and even roof decals. 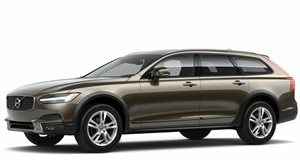 does add, however, that two-tone paint increase the MSRP of any vehicle because of the higher manufacturing costs involved. But car designers love it because they know the difference unique colors can make to buyer opinion. It’s all about customer choice right now regarding two-tone paint and as long as they’re willing to pay extra for it, automakers seemingly have no problem offering it. If you don't like wagons, you will after driving this one.